Understanding micro conversions is part of the process of understanding why the vast majority of your customers walk away from your site without doing anything. While you may be focused on trying to increase your 2% conversion rate, there is a more holistic view you can take on conversion that will help Improve your Website and business. This is a guest post. The author’s opinions are entirely his or her own and may not always reflect the views of Unbounce. Kevin McCaffrey is an entrepreneur who recently launched his new company Conversion Rate Services. The first dedicated conversion optimization agency in Ireland. A company that aims to help businesses get the most out of their online presence, by using conversion rate optimization techniques and business intelligence to make decisions based on fact instead of opinion. Right now there are many more conversion points in your sales process than you realize. You need to be prepared to break your whole sales process down to a micro level. To discuss this, lets look first at Conversions. On a Website you might be experiencing a 2% conversion rate. This is the conversion that’s bringing home the bacon. I like to call these conversions Primary Conversions. These help drive your business forward. If your conversion is a sale or a lead then that’s a primary conversion. If you only focus on sales and/leads then you’re ignoring all the other things that are happening on your Website. These other things are important and you need to be tracking them. They are all part of the overall process. So for the 98% that didn’t buy, what happened? Well maybe their visit to your site wasn’t wasted, even though they didn’t make you any money. Quite a few of them were doing something or other. So you need to understand what these other things were so you can track them. I like to call these Secondary Conversions. They help support your business by helping 2 groups of people: people who are already your customers, and those that might become your customers in the future. Secondary conversion include things like research, support requests and customer service. I see a hierarchical relationship between conversions. So if at the top level you have primary conversions, beneath a primary conversion you might have one or more micro conversions and/or one or more secondary conversions. Below a secondary conversion you have one or more micro conversions. So a micro conversion might be a secondary conversion that leads to a primary conversion… or it can be at a much lower level. Ok so that paragraph might be a bit mind bending so it might be easier to look at a nice picture. What I’m trying to say is that primary, secondary and micro conversions are all interrelated. In the image below there are lots of circles. These represent lots of conversions, they are all different sizes because different conversions have more impact on our business than others. 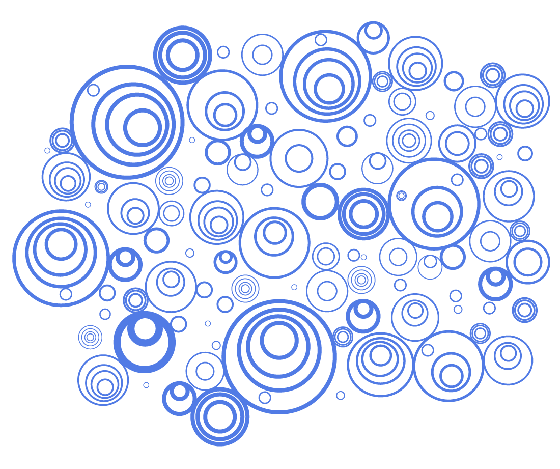 Also some circles have circles inside them, which might represent the stages of a checkout process for example. Other circles are really tiny which might represent a conversion which is as simple as moving from reading a headline to the first line of text. A visual representation of the micro conversion ecosystem. Let’s look at an example to try and explain further. Say for example I know my nephews birthday is coming up. I’m toying with the idea of getting him an MP3 Player. I’ve signed up to Amazon’s mailing list, and one day I see an ad for an MP3 player in an Amazon mail. I decide to click on it and take a look. I’ve arrived at Amazon. Here’s how my purchase might go. So I converted eventually. And this example might not even do it justice. There are 50 micro conversions here, but it might as well be 500 considering the amount of effort people put into buying. Micro conversions are all about changing a visitor’s state from one thing to another. They can go through hundreds of states before a final conversion. What this means is that a sale is a very fragile thing. A small insignificant thing can be the difference between making the sale and losing it. There are lots to talk about in the above process, so let’s take a look. Notice that the process above didn’t happen in one session. I left and came back a number of times and in different locations and different computers. Lets look at each of these and how it affects us. When the visitor has identified a problem that needs solving they’ll start looking for a solution. They will be looking for the most straightforward solution that will provide the best value. So off they go to their favourite search engine. They start by doing some research and information gathering on the problem. Trying to understand the different ways in which their problem can be solved. Tip: This is where you need to be stepping in with some valuable information, so that you’re seen as an expert in your field. The next step is to analyze and evaluate solutions and try and compare them. They’ll be looking for benefits and value. Tip: make sure it’s easy for them to compare and highlight the benefits and value. Once the decision is made then it’s time to purchase. Tip: you may want to provide a number of options for purchasing. You should make it as easy as possible to buy, – the less distractions there are the better. After the person has made the purchase it’s time to consider post purchase factors. You need to make sure of 2 things: that the product has solved the problem that they had and that they’re going to come back and buy more from you. For some websites this process may only take a few minutes. For other businesses this buying cycle may take many months. Especially on high priced products and services. One thing is clear: each step of the buying cycle is a micro conversion in itself and each step has many micro conversions inside it. Part of your job is to get the potential customer out of that buying cycle as early as possible. You want to try and be that person’s best friend. Guiding them through all the small steps until you get them to commit to making a primary conversion, so you need to understand the micro conversions that make up your own buying cycle. When moving through a website, distractions come in all shapes and sizes. Images, links, audio, video, special offers, search filters, form fields and advertisements are all competing for our attention. Each of these have the potential to derail our visitors on their way to a conversion. You need to consider everything on a page very carefully, either it is going to drive the user towards a conversion or it’s going to drive them away. For example, on Amazon’s search results page I counted 6 special offers, 16 products, 30+ search filters, 62 images, 360 hyperlinks and 1,450 words of text. That’s a lot of distractions. But all these individual items have a purpose in Amazon’s eyes. Otherwise they wouldn’t be there. And of course Amazon being masters of online marketing, they test and track everything, so they know what works. The other thing Amazon understand about their customers is that people are familiar with a standard layout. Header at the top, sub menu on the left, content on the right, footer at the bottom, so they know that people will look past much of the noise on the page and identify where to go next pretty quickly. And that’s the thing about designing online, there are certain designs and best practices that will allow your customers to find what they’re looking for pretty quickly. There is an excellent book on the subject called “Don’t Make Me Think” by Steve Krug. Apart from being an excellent book on Web Usability, the title itself can be a rule to live by when catering to your customer. You may have noticed in my buying session above a couple of little outside interventions that are nothing to do with online marketing. First my boss caught me surfing online, then at home the dog and baby distracted me and finally I consulted friends and colleagues on my decision. What I want to illustrate here is that there are many things competing for our attention these days. People have any number of distractions in their lives that can take them away, just as they’re about to convert. So there are a number of things it’s important to bear in mind. First, try and make their lives a little bit easier. Try and understand the problem they’re trying to solve and be the one that guides them through it. Second, try and get them as early in the buying cycle as possible. At least try and get some contact details so you can follow up with them, an email address so you can put them in a mailing series, phone number so you can call them back at a convenient time, or a social media tie in so you get permission to market to them later. Other distractions that are coming more into play these days are things such as the device people are using to access your Website. The number and type of devices will balloon over the coming years. So make sure there’s an alternative to that lovely big Flash demo you spent all your money on. Be aware that people go offline to make their decisions. They’ll consult with friends, family and colleagues to make sure they are making the right decision. This is one of the reasons that social media will have a bigger impact on conversions in the future. A web analytics tool can be used to mine your existing data for micro conversions. If you take one of your primary conversions, each page in the process leading up to that conversion would be a micro conversion. If you have goals set up in Google Analytics for example, you should be able to look at the reverse goal path to see how people arrived at the conversion. This shows you the most common way that people achieve a goal on your website. Take a note of the pages your Visitor pass through on the way to the conversion. Now you have the pages the visitors visited during the session you can go over each page and note all the elements on the page. First look at the common components of your pages such as header, menu, sub menu, breadcrumbs, content and footer. Then look at the individual elements on your page, such as images, links, headings, text etc. Now try and define which of these elements are driving the user towards the next step in the process and which are driving them away. Do you think it’s easy for the visitor to identify what the next step is? What are the distractions? Is there anything broken? Are you giving the user too many/not enough options? Is there anything the user can’t understand? What is the user thinking? Try and get back to basics and see your website with a fresh pair of eyes. This can be difficult if your looking at it day in and day out, so maybe get someone to help you. By listing out all of the elements on your website you’ll be able to identify the elements of your pages that are driving the Visitor towards one of your conversions and the elements that are driving them away. Note that when I say driving them away, this could mean even navigation elements, search box, links to other content. These may take people off the path you want them to follow, but they are also be necessary in providing a good user experience to the visitor. So there’s a delicate balance to be struck between just enough and way too much. There are some great tools on the market to help you understand what customers are doing on your website and what they think of your website. A tool like 4Q from iPerceptions can survey your visitor as they leave your website, this can help you understand if the visitor achieved their goals when they were on your website. This will be great for helping you identify what your secondary goals are. KissInsights is a survey tool that lets you ask people what they are doing on a specific page. This can be great if you’re seeing a dropoff at a certain point in your conversion funnel. Maybe there’s a micro conversion in there that’s causing problems that’s easy to put right. In your KissInsights survey, ask the customer if they’re having any problems on that page. Clicktale and CrazyEgg are also great tools to help you see what people are doing on your pages. If a micro conversion is anything that transforms a customer’s state from one thing to another then the key to maximum lifetime customer value is being the business that knows every micro conversion in the sales sequence in your market. In exquisite detail in fact. You must understand your customer’s state of mind at every step from being on unknown visitor to being your greatest advocate. The journey between these two points is a very gradual process, but the more people you can take on that journey, the stronger your business will be. You must have the flexibility to add steps to the sequence, remove steps from the sequence, change things as necessary to constantly strive to get the perfect business. You need to make sure you’re presenting the right information to the right people at the right time. It’s like crossing a rickety old rope bridge. At any step the whole thing could come down. In a nutshell… pay close attention to those micro conversions. Kevin is an entrepreneur who recently launched his new company Conversion Rate Services. The first dedicated conversion optimization agency in Ireland. A company that aims to help businesses get the most out of their online presence, by using conversion rate optimization techniques and business intelligence to make decisions based on fact instead of opinion.